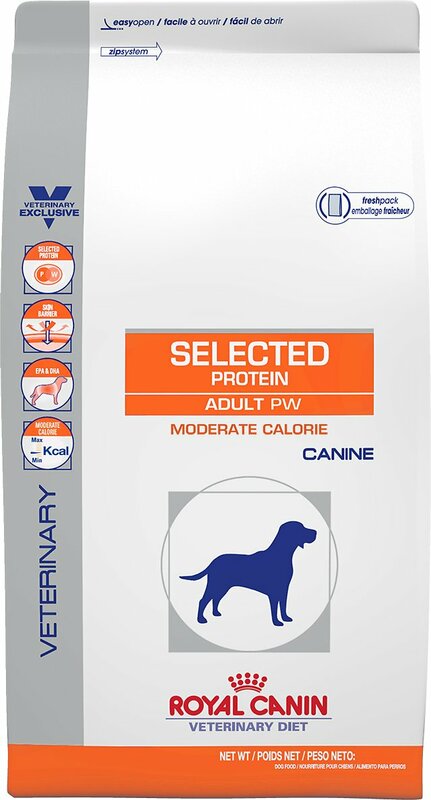 Royal Canin Veterinary Diet Canine Hypoallergenic Moderate Calorie Adult PW is a complete and balanced, selected protein diet for dogs predisposed to weight gain, and is formulated to assist in the nutritional management of adverse food reactions with dermatologic or gastrointestinal signs. Royal Canin Veterinary Diet products are specially formulated for use in a dietary management program. A wholesome, nutritious dog food that is balanced with ingredients that are unlikely to upset your dog's system.